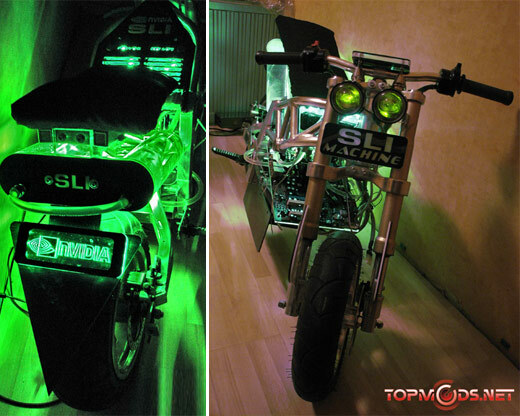 Forget about the fact that this is even a PC, but even if this were a real motorcycle, the green LED glow would capture my attention. Now, imagine being able to have this Motorcycled Case Mod in your office or computer den. 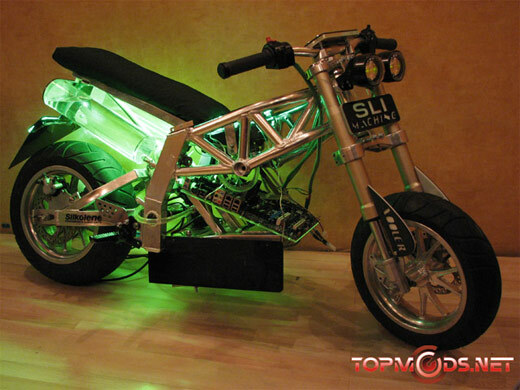 This liquid-cooled Motorcycle Case holds the tradition of other vehicle themed case mods, but goes completely overboard with the modding, leaving the PC as just a footnote on the rump of the bike. Holy cow I want it. And not just because I’m required, by marriage, to love nVidia. That is pretty badass. If not are there any links to extreme cases for sale.